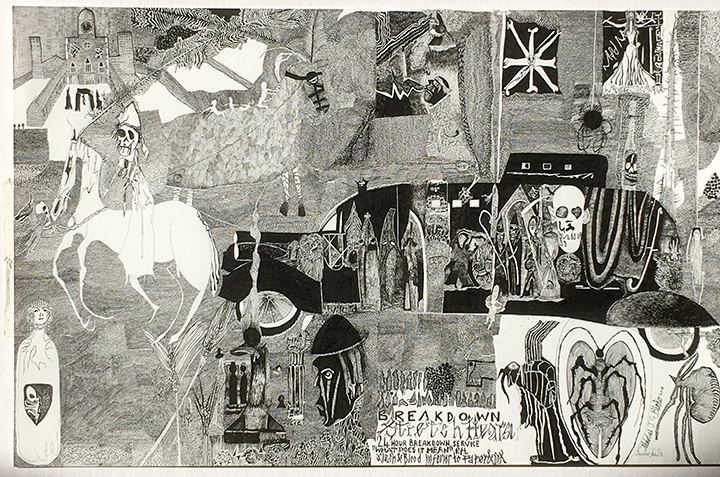 'In the case of British artist Nick Blinko (b.1961), who has in the past been hospitalised, the need to make pictures is stronger than the desire for the psychic 'stability' brought by therapeutic drugs which adversely affects his ability to work. 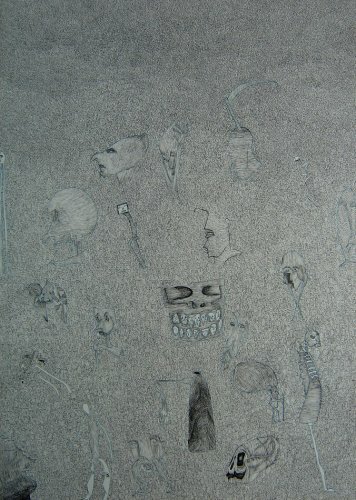 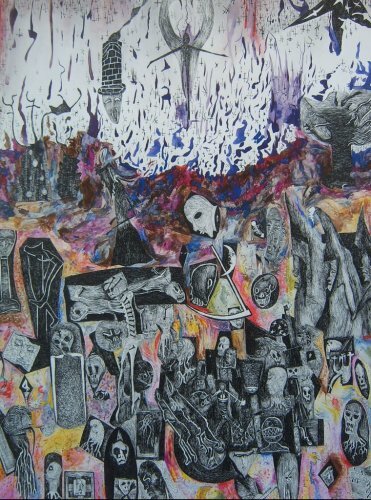 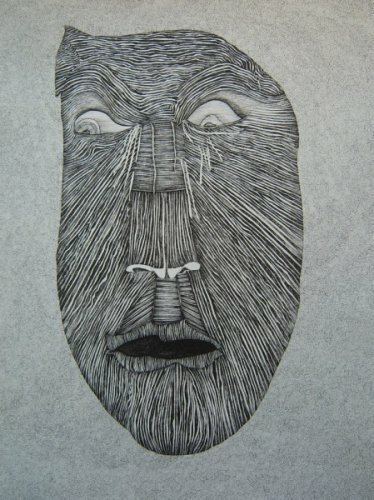 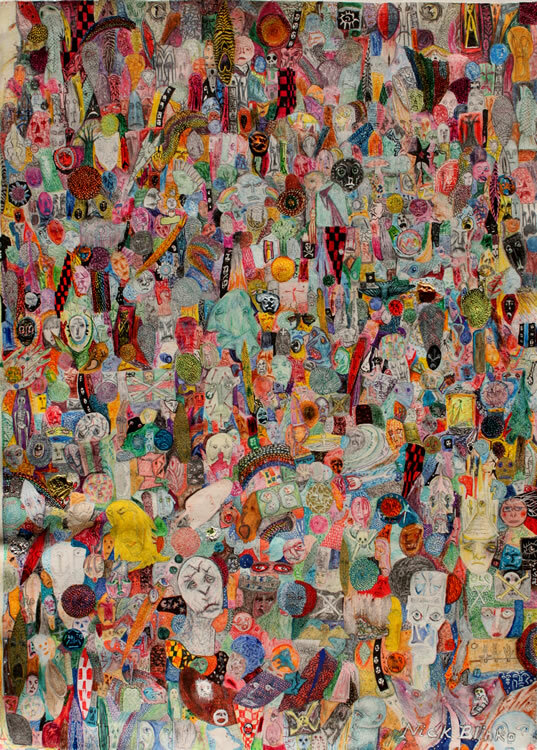 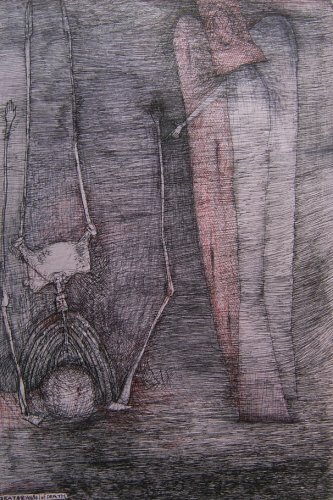 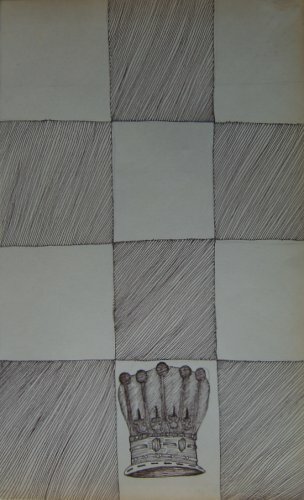 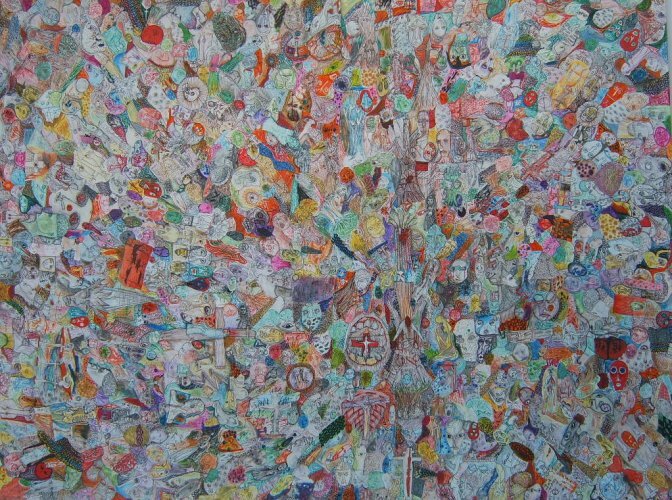 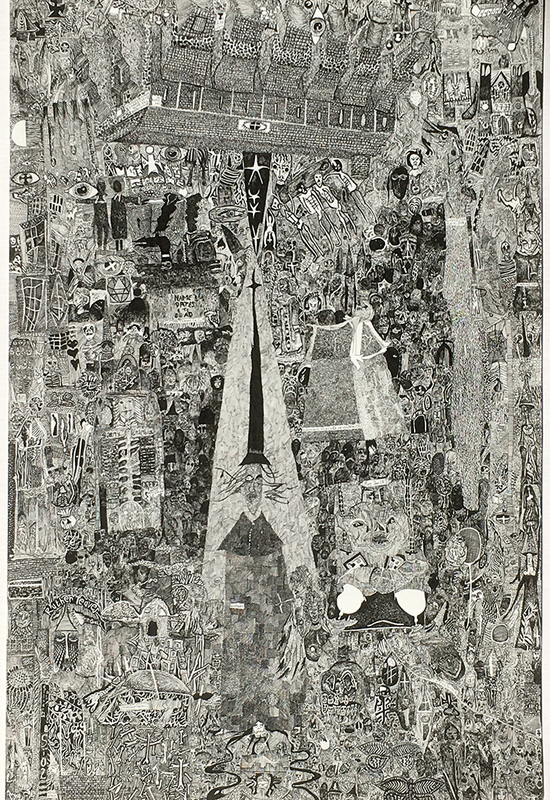 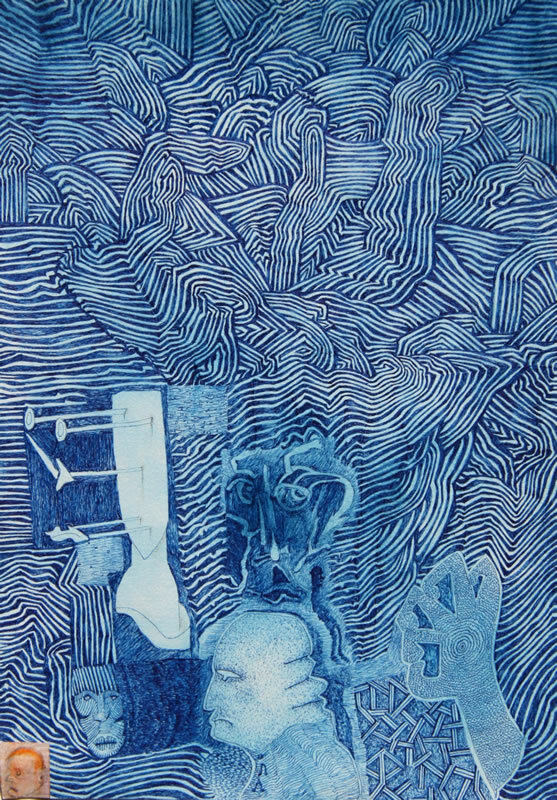 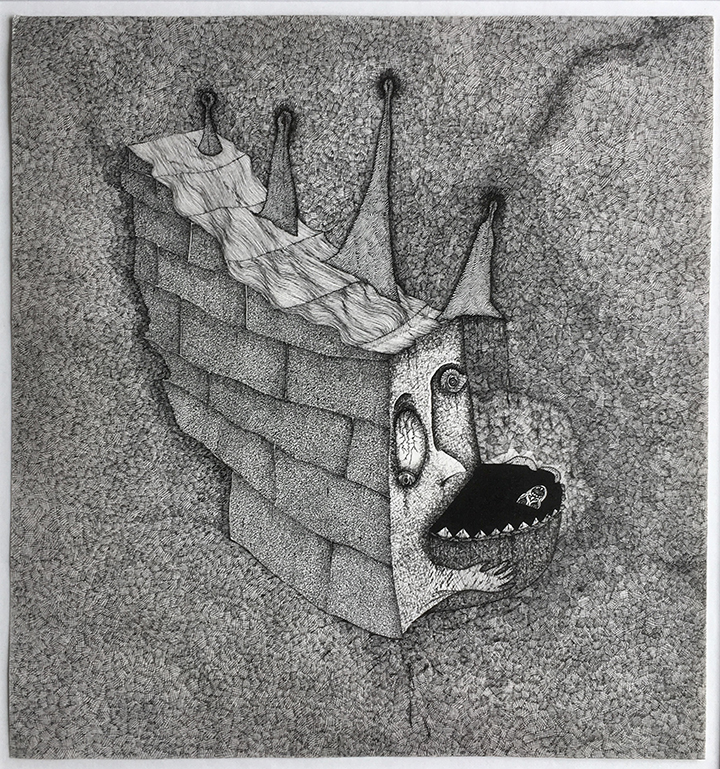 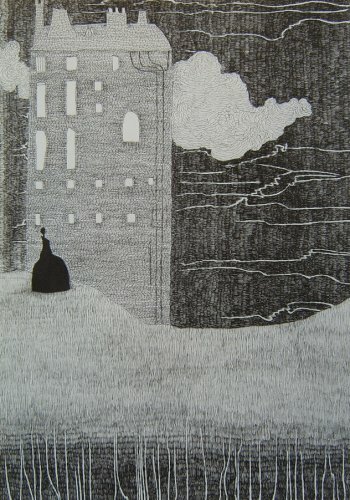 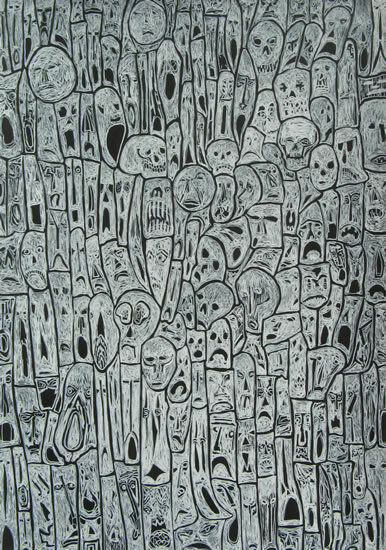 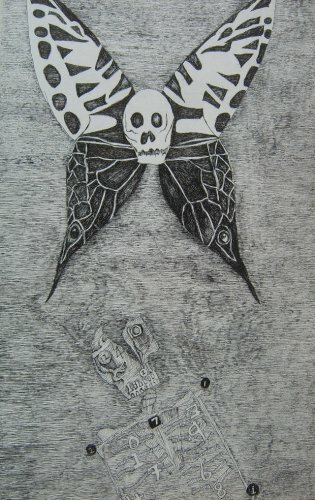 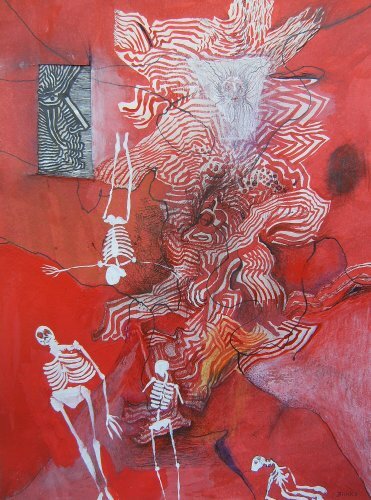 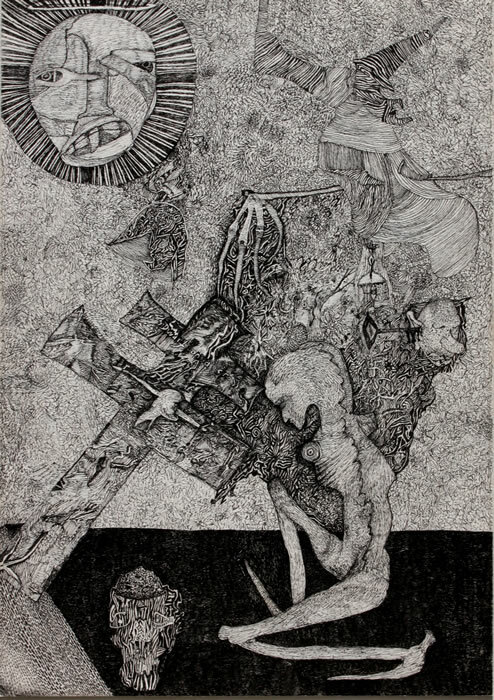 His images are constructed of microscopically detailed elements, sometimes consisting of literally hundreds of interconnecting figures and faces, which he draws without the aid of magnifying lenses and which contain an iconography that places him in the company of the likes of Bosch, Bruegel and the late Goya. 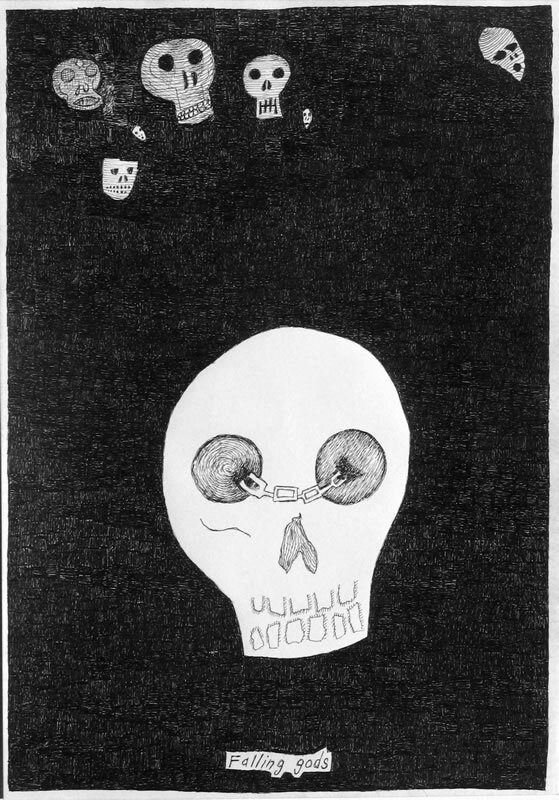 These pictures produced in periods when he was not taking medication bring no respite from the psychic torment and delusions from which he suffers. 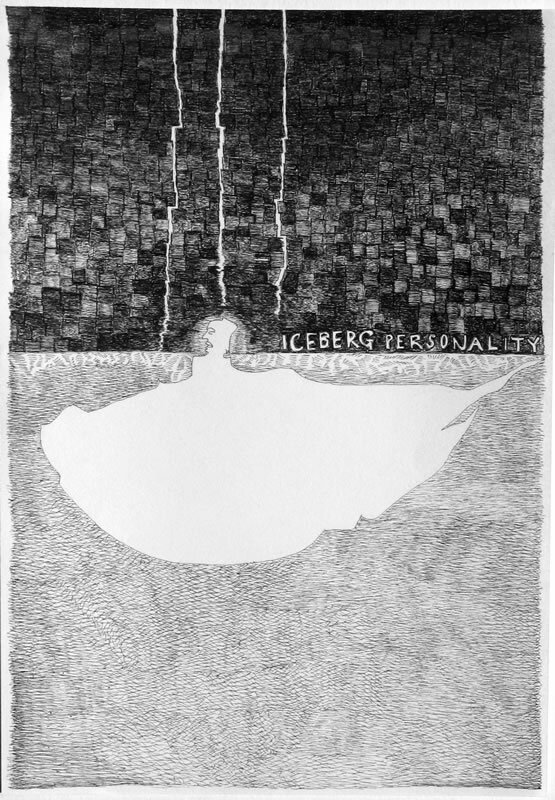 In order to make art, Blinko risks total psychological exposure'. 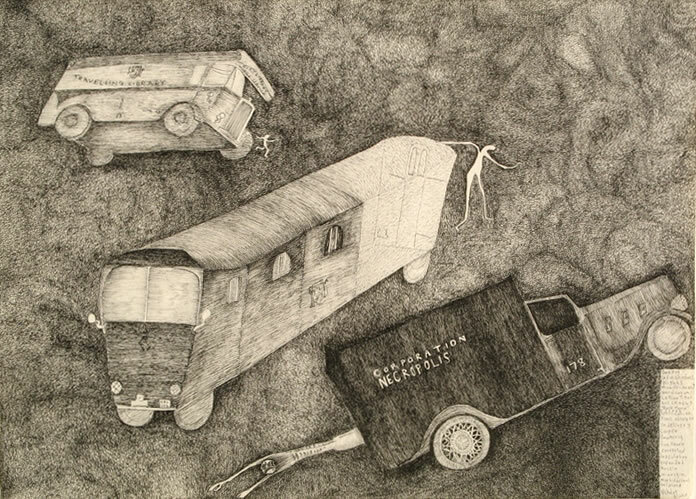 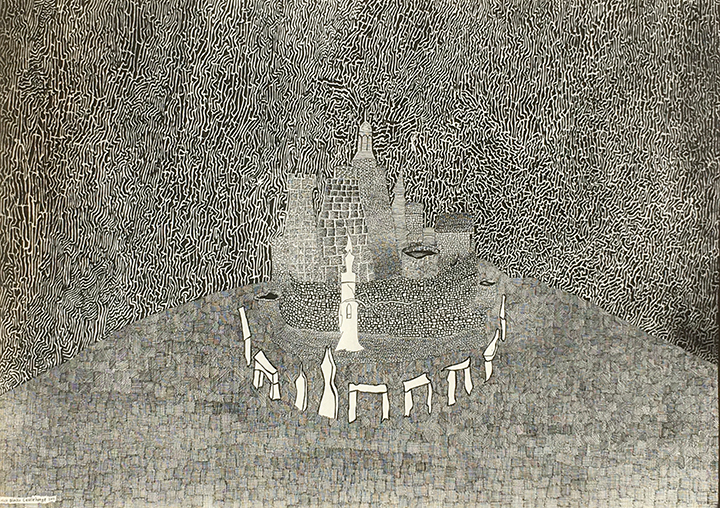 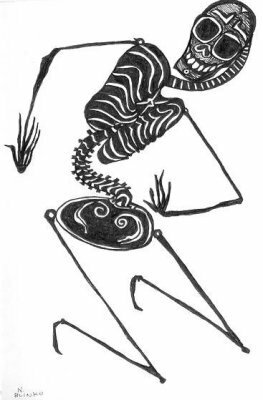 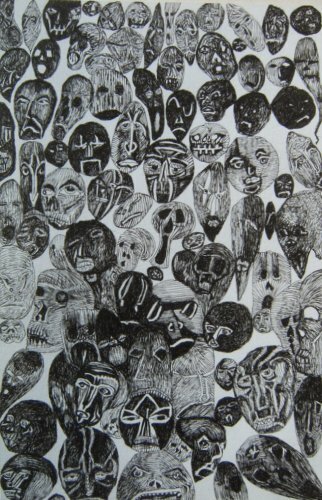 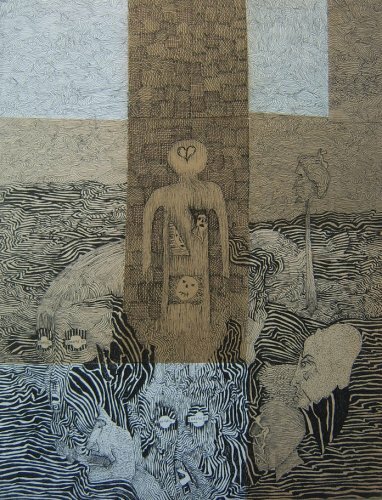 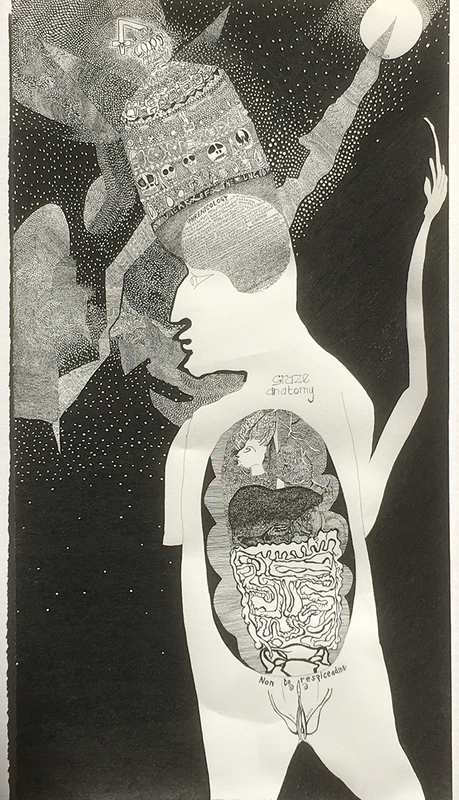 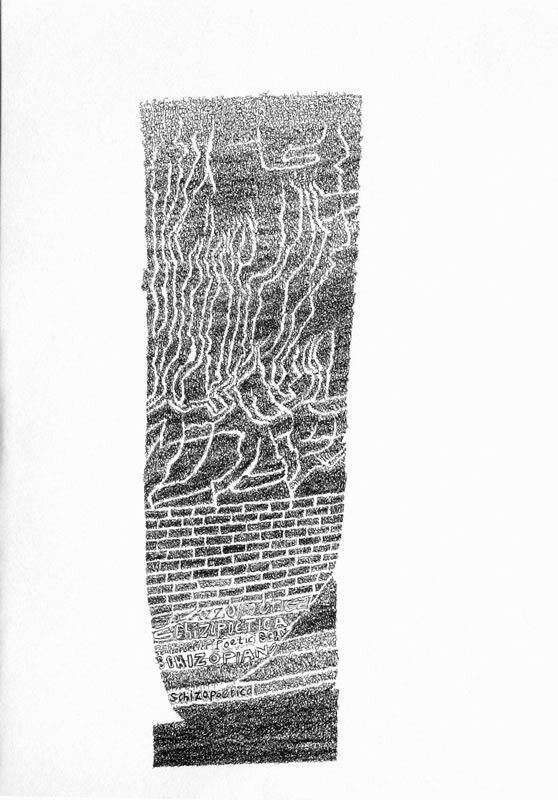 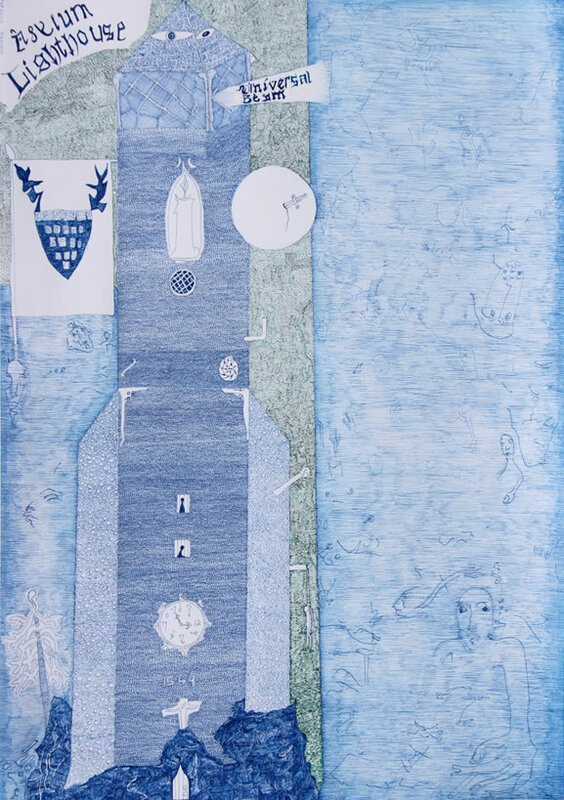 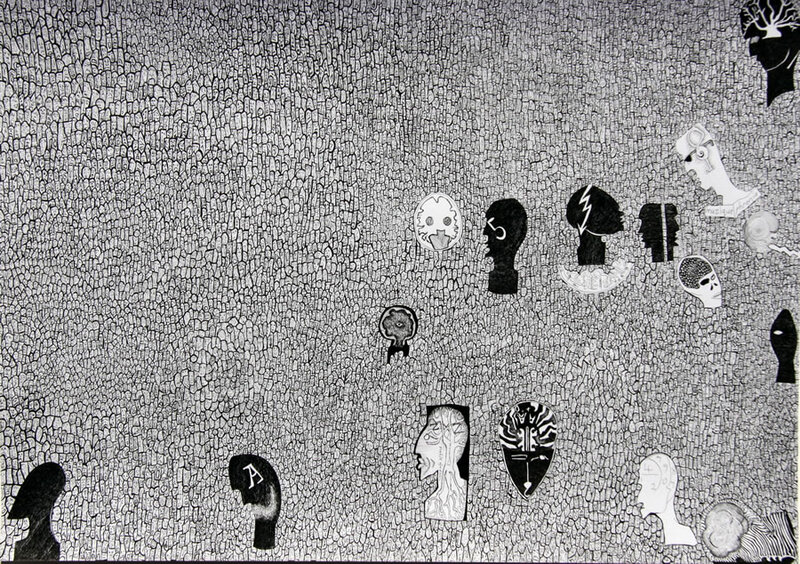 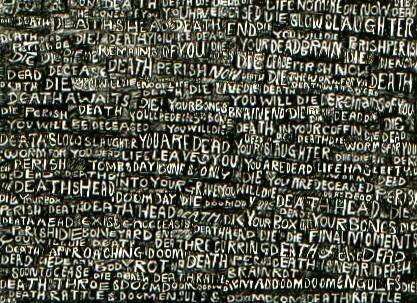 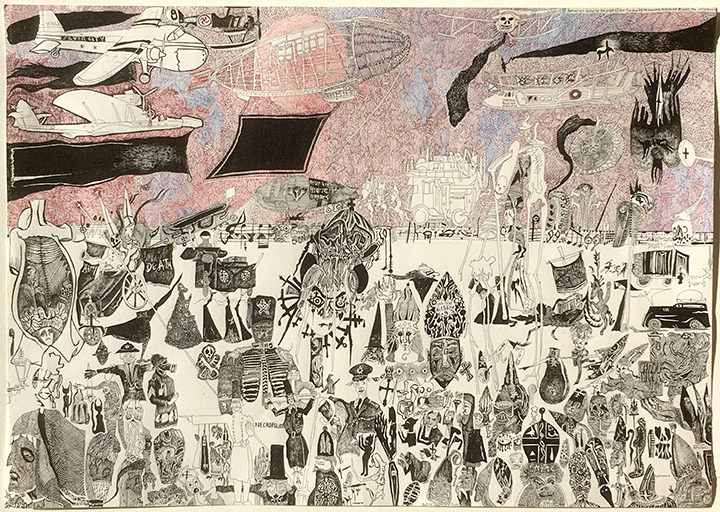 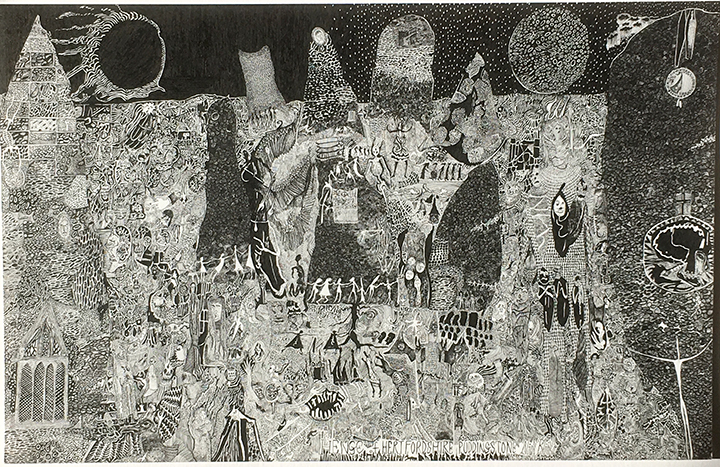 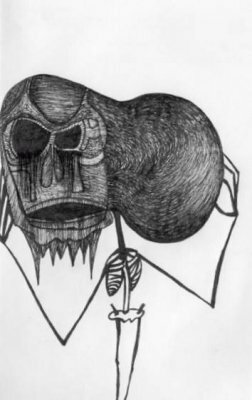 Nick Blinko's work has been included in numerous museum and public exhibitions in the UK, France and The States, of particular note was the major touring show 'Ecriture en Delire', which traveled from The Collection de l'Art Brut to the Halle Saint Pierre, Paris, and on to the Museum Dr Guislain in Belgium, where his intensely detailed drawings were displayed alongside the works of Aloise, Carlo, Adolf Wolfli and Henry Darger. 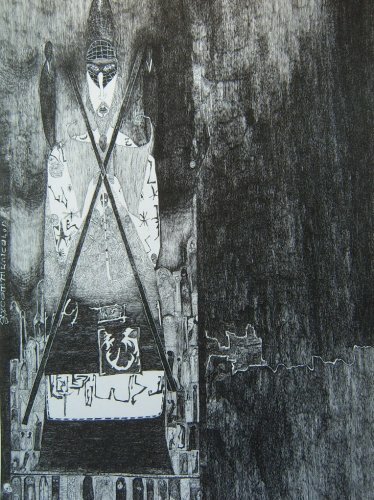 Nick Blinko’s work is also published by David Tibet’s imprint Coptic Cat (www.CopticCat.com); his most recent book is Visions of Pope Adrian 37th which is available from Coptic Cat’s shop here!